Alpentile Glass Tile Swimming Pools: From Tile to Teeth. Not your typical dental office, right? Luke recently finished this project in Arcadia, a fabulous environment that certainly takes the edge off dental work! 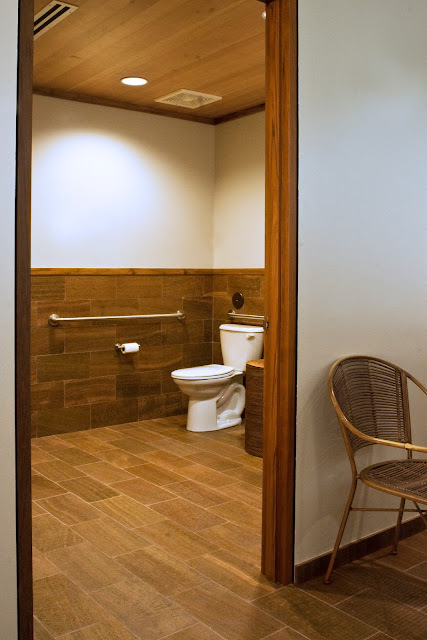 Amber limestone in an offset pattern on floors and wainscot is a dynamic backdrop for features like teak door jambs, ceilings, and cabinetry, handcrafted on-site to custom specifications. 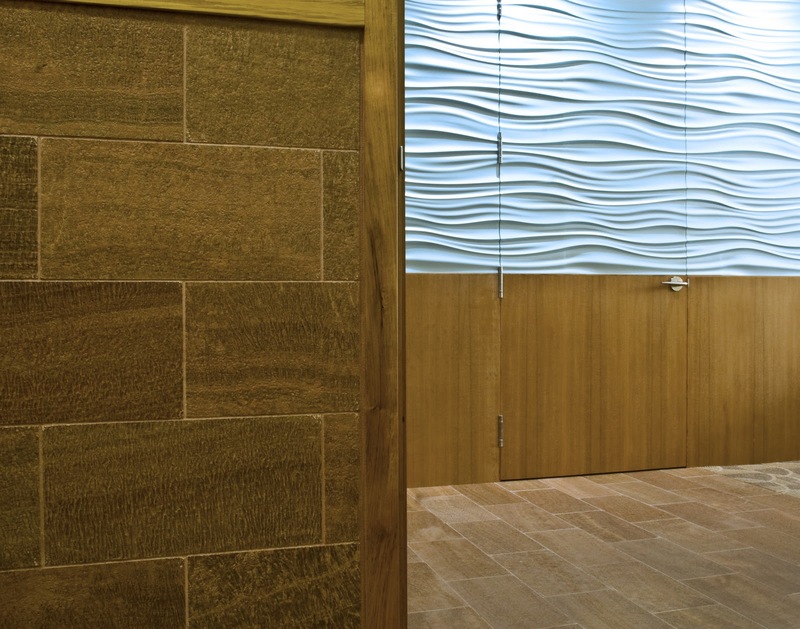 While the majority of tile projects we take on are indeed glass tile and mosaics, we also enjoy projects like this. 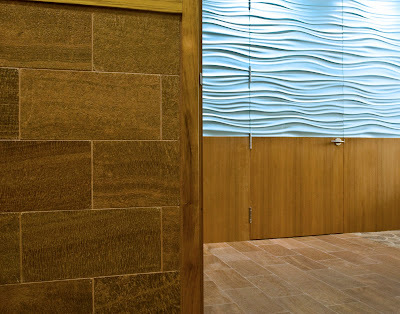 Unique materials are selected as a part of a cohesive design vision like that of the architect on this project, Greg Seitz. Luke collaborates with the other craftsmen of the project, paying attention to the fine details and communicating with the project leaders so the finished product will live up to the initial concept and vision. 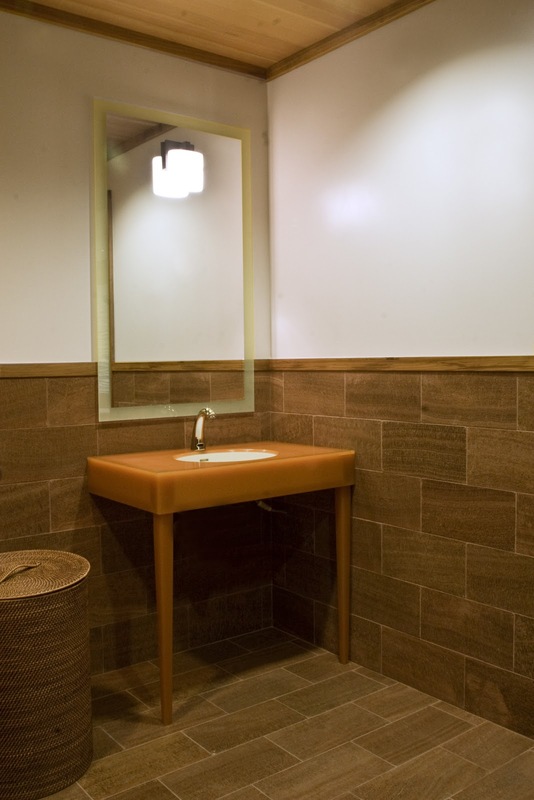 A textural aquamarine feature wall and custom fabricated tangerine vanity complete the design palette.